A stunning graphic of a Victorian Fruit Basket. I have many of these lovely fruit images, which I’ll upload soon. They came from old labels. They would be great for a Victorian collage or other craft project. 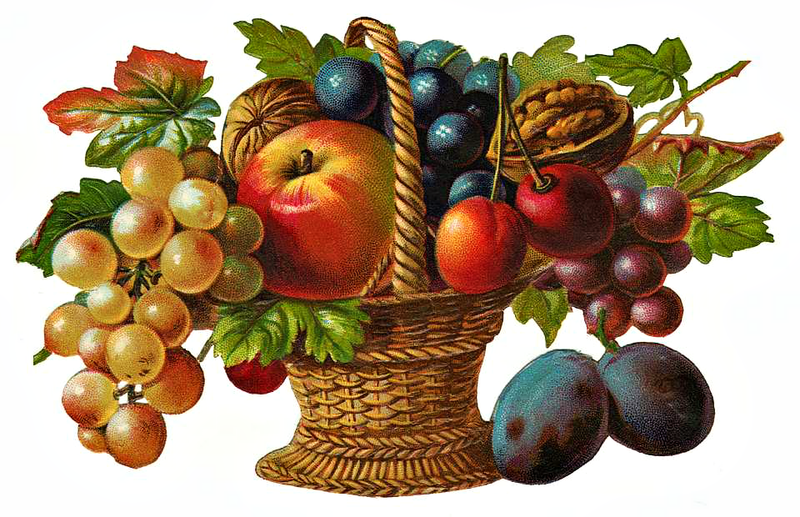 This entry was posted in Fruit and tagged antique image, free clipart, fruit clipart, stock image, Victorian Fruit Basket Clipart, vintage image on October 13, 2014 by ClipArtPlace.